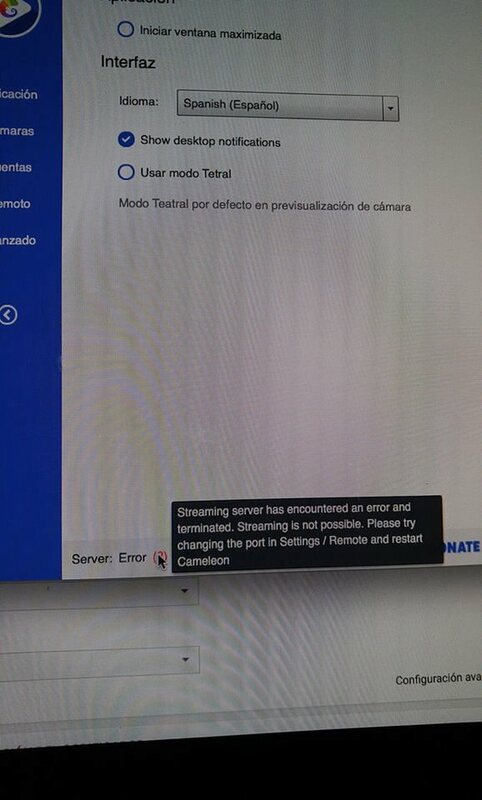 I try to use cameleon.live on my Mac with Logitech webcam and it constantly tells me it can’t connect. Is there a way that Live Streaming can be embedded into a website to do the Live Streaming from there? 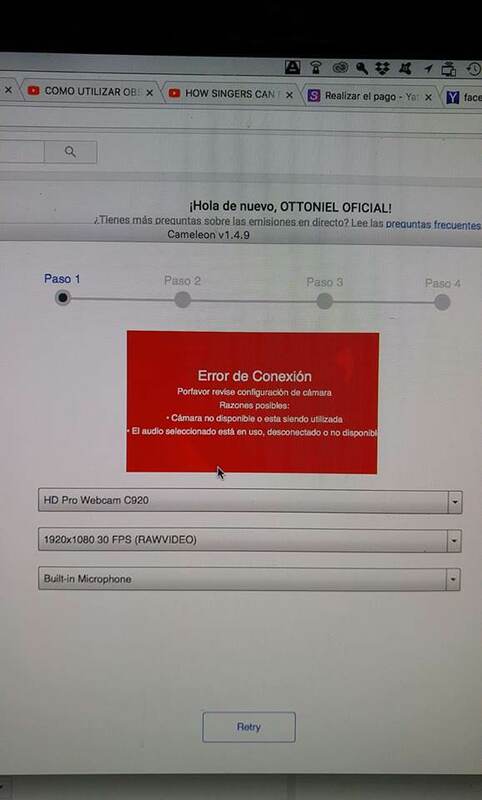 I try to use cameleon.live on my Mac with Logitech webcam and it constantly tells me it can’t connect? Any suggestion how this problem could be solved? RE: Audio sound is frayed! @k I have a small mixer the Roland Go mixer and a Iphone 7plus, I can make a video with great stereo sound from the mixer.Video from the phone and the audio is added by the mixer. This is working perfect, video on camararoll is very good and the sound aswell. Also when I make connection to Youtube in another channel wich I can make Live video without the App Go Live Pro the sound is perfect. But when I use the App Go Live Pro, the sound is frayed. When I monitor the sound while recording by using a headphone connected to the Roland mixer it is good, stereo fresh and so on. But on youtube the sound is horrible... That is what is going on. I have Go Live Pro, want to stream on Youtube with good audio, I have an Roland Go Pro mixer to get good audio into my Iphone, but when I am trying to stream, the audio is frayed. When I make just a recording with camera, the sound is perfect. What is going wrong? I'm looking for an app that can livestream to YouTube in a co-host kind of format, two hosts side by side frames that works for iPad and iPhone. I saw on the website that the app supports multi camera but not sure how that works. I wanna live stream my GoPro to Facebook via my iPhone... Is this possible ? Is it possible to live stream to youtube with a gopro camera using an iPhone as the internet connection? I try to use live pro and it seemed working on YouTube . But unless I choose « save on iPhone » I’ve no trace of record on my phone.